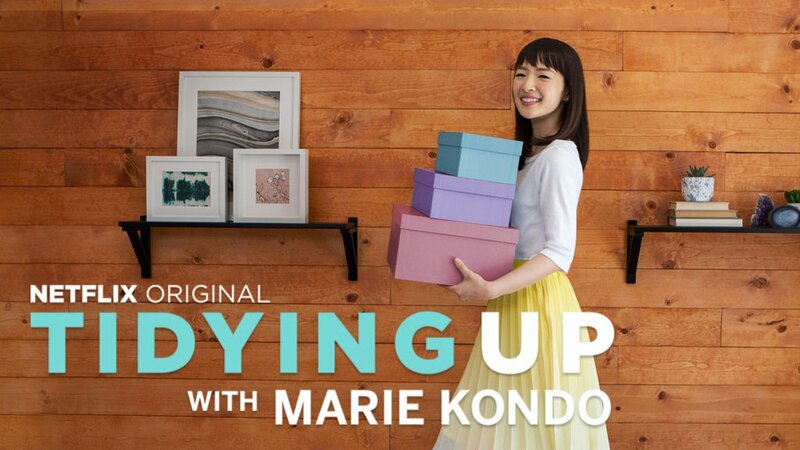 On 1 January, Netflix debuted Tidying Up with Marie Kondo, a reality show based on her bestselling self-help book The Life-Changing Magic of Tidying Up: The Japanese Art of Decluttering and Organising. Bored and looking for a task that could help me refocus my energy for the new year, I decided to try the now-trademarked ‘KonMari’ method for myself. I’ve divided Kondo’s tips into four key steps which, if followed, will help any clothes addict like me to perform a much-needed wardrobe detox as we come into a new season! Step 1: Pile It Up. The first step in the KonMari method is to take every piece of clothing you own, from socks to jackets, and pile it all up into one gigantic sartorial mountain. While this may seem like an arduous task, Kondo insists that it is only by seeing the sheer amount of clothing we own that we can find the strength to let go of those items that don’t spark joy. Being a fashion hoarder, I had anticipated that my own personal clothing mountain would probably take up my entire bed. What I did not anticipate however, was the fact that I had somehow, through years of hoarding, managed to acquire enough items to clothe a small country. After about two hours of sorting, I finally managed to rid my cramped wardrobe of exactly 4 bags (!) of unwanted, unworn clothing. Step 2: What Don’t You Wear? Step 3: thank u, next. One of the most striking, albeit slightly bizarre aspects to the KonMari method is Kondo’s insistence that upon deciding to let go of an item that doesn’t ‘spark joy,’ we should thank it before throwing it away. This undoubtedly made for entertaining television, as episode by episode Kondo persuaded each family member to say ‘thank you’ to their unwanted items, from clothes to books to kitchen utensils and Christmas decorations. Seeing as I was determined to follow Kondo’s method by the book as much as possible, I was pleasantly surprised to find that thanking my items really did help me to feel better about throwing them away. Thank you and goodbye, my artfully ripped blue jeans that haven’t seen the light of day since 2012. I won’t miss you. Step 4: Fold, fold, fold! Finally, without doubt the most ‘life-changing’ aspect of the KonMari method is her special folding technique (I’m serious). Kondo advises that rather than pile our clothing items on top of each other, making it impossible to pull a t-shirt from the pile without disturbing the rest, we should fold our clothes in such a way that they can stand up independently on our shelves and in our drawers. Now I know what you’re thinking: Catherine, that sounds highly improbable, and seems to defy the basic laws of physics. How can clothes stand up on their own, with nothing to hold them? Well friends, I won’t bore you with the intricate details of the KonMari folding method. You’ll have to watch Tidying Up for yourself. I promise, your wardrobe (and your mother) will thank you.